This game was not without its fair share of problems, and I’d be lying if I said I never found myself getting frustrated with it. 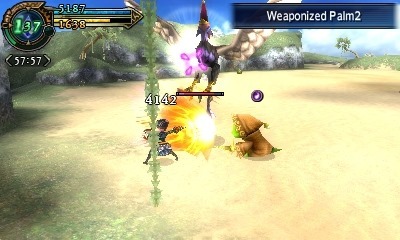 But this weird lovechild of Monster Hunter and PSO still entertained me for dozens of hours, and left me wanting more (hopefully from an improved sequel). Tedium and repetitive missions aside, Explorers won me over with its flexible skill customization, its engaging approach to class design, and its fun boss battles. A strange mix-up of things I’m not usually a fan of, Gotta Protectors nonetheless managed to charm me with its dumb jokes and fun gameplay. 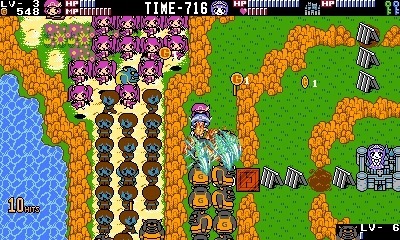 A weird mix-up of a Tower-Defense game and an NES beat-em-up, with enough enemies to make Lu Bu wet himself, this Eshop release by Ancient has crafted a niche all for itself. With fun classes, varied levels, and a robust map creator, Gotta Protectors kept me amused for hours on end. Nitroplus Blasterz is one of those crossover games that you can enjoy just fine, and perhaps even better, with no knowledge of the source material. 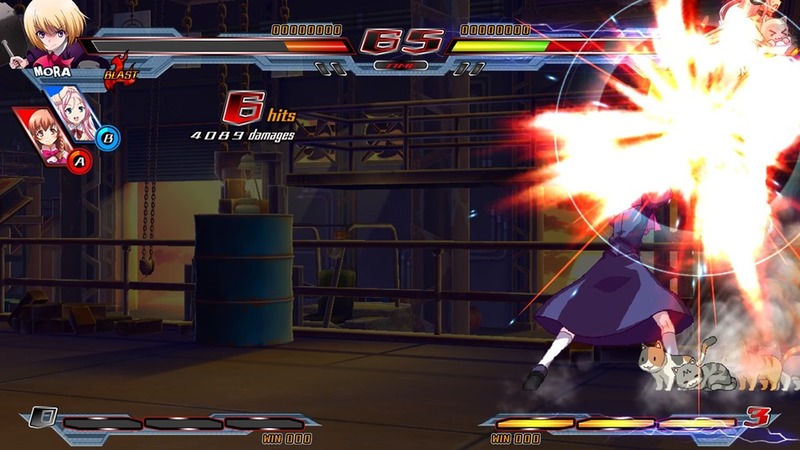 A massive gathering of characters from assorted Nitroplus properties (and associated animes), Nitroplus Blasterz is a simple and accessible fighting game with a lot of flair and polish. Players looking for a more technical game will probably want to look elsewhere, but I’m perfectly happy fighting Super Sonico and her army of cats. I’ll start this off by saying that I haven’t played a new Pokemon game since Ruby/Emerald/Sapphire, and was only aware enough of the newer games to be disinterested in them (save for Black/White). Having said that, Pokemon Sun surprised me with how good it was, and how much it improved upon the existing formula. Aside from just ditching gyms in favor of more varied trials, the game felt much more earnest and honest about trying to be something new and different. It had great Pokemon, fun characters, a fantastic plot, and would have easily snagged GOTY were it not for one other game. What can I say about 7th Dragon III? 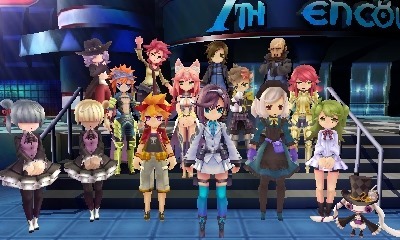 What can’t I say about 7th Dragon III? This game was a pleasant surprise for me, a demo I tried on the recommendation of a friend. What started as a simple act of curiosity quickly turned into a burning desire to play this game, and next thing I knew I was tweeting about it endlessly and sharing nearly every moment I could. On the surface it’s a derivative of games like Etrian Odyssey, but the incredibly likable characters and fun dialogue won me over and helped this land on the top of my list. It’s not without its faults, but my time playing 7th Dragon III was definitely the happiest experience of this entire year for me.